THIS SITE IS MANAGED AND OPERATED BY CREATIVE WORD FZ LLC (CREATIVE WORD). 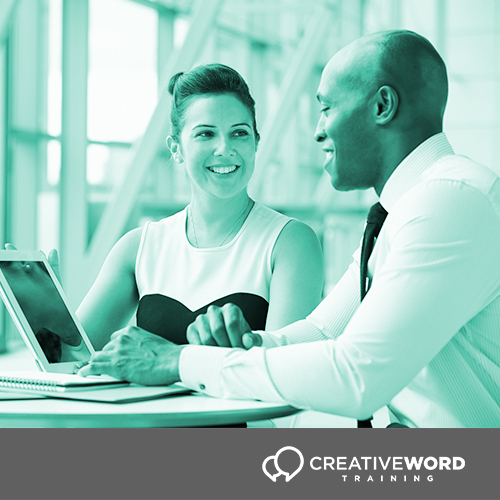 IT CONTAINS CONTENT AND ALLOWS BOOKING OF CREATIVE WORD TRAINING COURSES ADMINISTERED BY CREATIVE WORD. 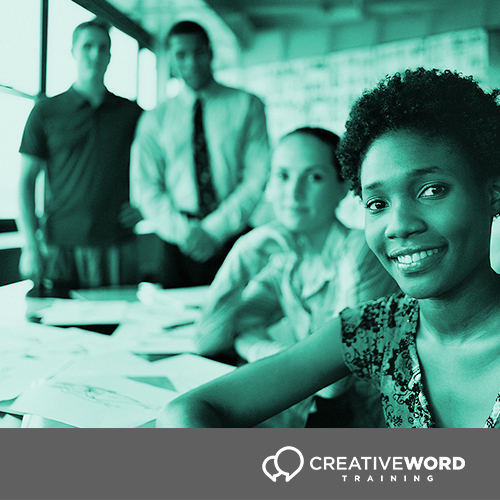 Creative Word provides through the website located at http://www.creativewordtraining.com (the Website) a platform providing information and enrolment opportunities for training courses for which anyone can enrol via this Website, along with accompanying Content (collectively referred to as the Services). By accessing, using, and/or registering for the Website and/or Services you hereby agree that you have read, understand, and shall abide by all of the terms and conditions as set forth in these Term of Use. 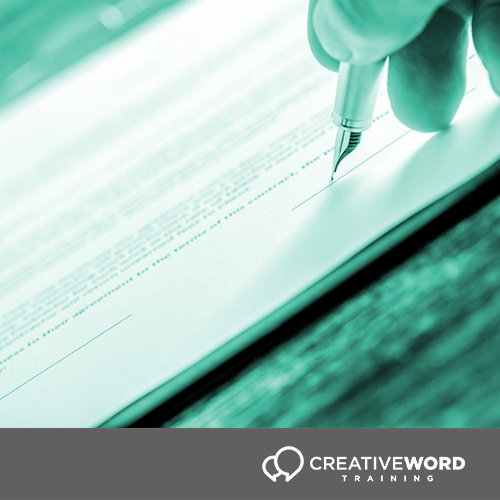 For the avoidance of doubt, you will enter into a separate contract and be subject to other terms and conditions in relation to your participation in the training itself and in relation to your payment for such training. 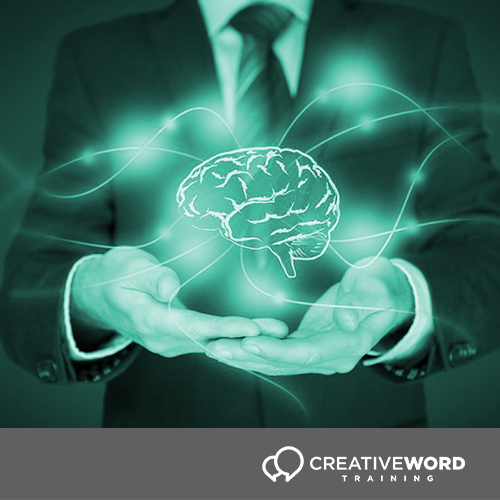 Creative Word will not accept any payments or payment information from you, and you must not attempt to provide Creative Word with any payment in relation to the Services nor in relation to the training or otherwise. All payments for training are to be made via a Third Party Payment Services Provider (as defined below) under separate payment terms to be entered into between you and the Third Party Payment Services Provider as is explained further below. PLEASE NOTE THAT YOUR PERSONAL INFORMATION AND PAYMENT DATA MAY BE TRANSMITTED AND PROCESSED OUTSIDE OF THE UNITED ARAB EMIRATES BY SUCH THIRD PARTY PAYMENT SERVICES PROVIDER. 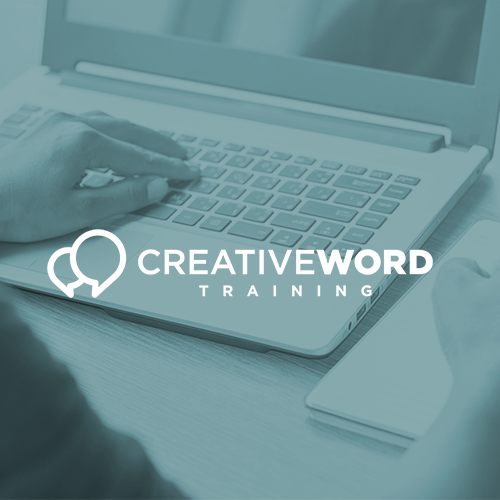 If you enrol in and/or book to attend any training course listed on this Website, the separate terms and conditions on this page will apply (the Training Terms). 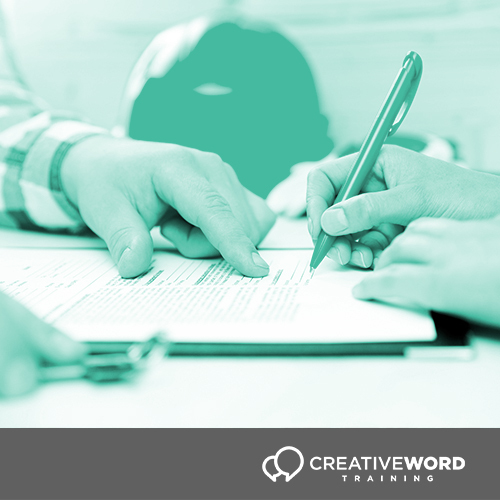 You will be asked to accept the Training Terms prior to being able to book and/or attend any such training course. 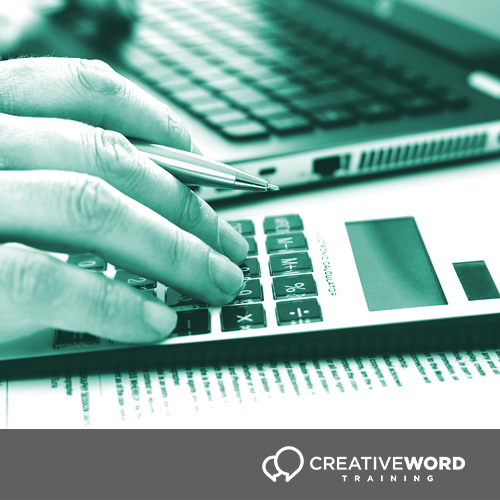 In relation to payment for all such training courses, the payment terms and conditions are located at on this page (the Payment Terms). 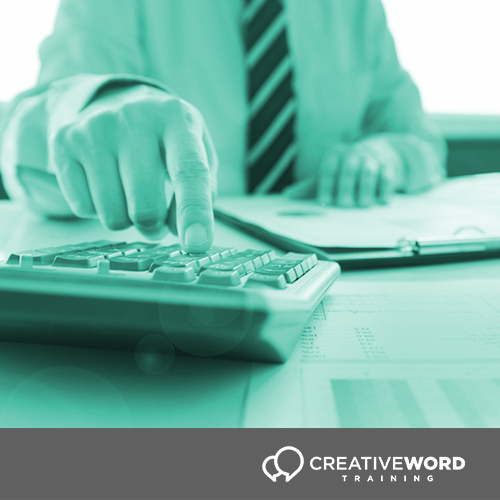 You will be asked to accept the Payment Terms prior to being able to pay for any training course. You hereby acknowledge and agree that the payment website is not run by Creative Word and that any issues relating to payment must be addressed to the Third Party Payment Services Provider NBAD. If you do not agree to abide by this Agreement, please do not access the Website. You are responsible for ensuring that all persons who access the Website through your internet connection are aware of this Agreement and other applicable terms and conditions and that they comply with them in all respects. 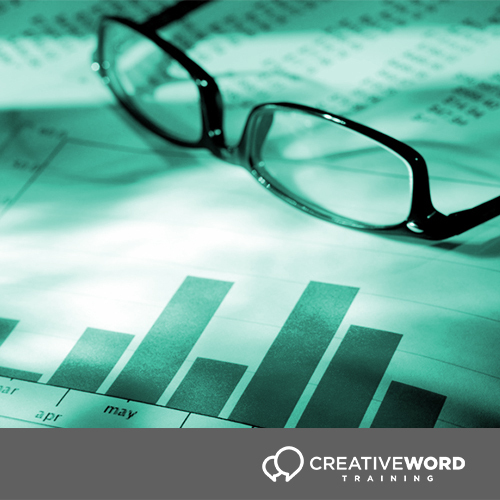 Any words following the terms including, include, in particular or for example or any similar phrase shall be construed as illustrative and shall not limit the generality of the related general words. The terms Creative Word, we, us or our(s) hereunder refer to Creative Word FZ LLC and its affiliates and the terms user, you and your hereunder refers to the user visiting and accessing the Website and/or Services. Please see the registration section for further information about users. Content means text, documents, statements, information, photographs, drawings, questions, answers, contact details, recommendations, and any and all other materials of any nature whatsoever in whatever form or format which is available via the Website and/or Services and whether created by Creative Word or by any third party. The terms of this Agreement apply to the entire Website and all the Services, unless explicitly stated that separate terms apply, in which case those terms apply. We provide you with a limited license to use the Website and the Services on the basis of this Agreement. We do not sell the Website or the Services, nor confer any ownership rights thereunder, to you. Please refer to the statement under the heading Intellectual Property Rights for further information. 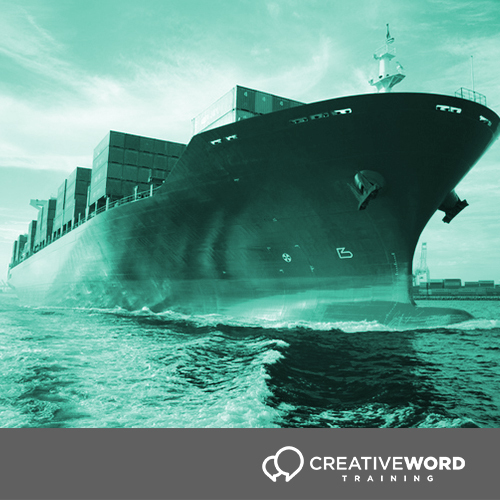 YOU ARE SOLELY RESPONSIBLE FOR DECIDING ON THE APPROPRIATENESS (OR OTHERWISE) OF ANY TRAINING COURSE AND FOR DECIDING WHETHER OR NOT TO BOOK AND PAY FOR TRAINING COURSES AND WHETHER OR NOT TO ENTER INTO THE TRAINING TERMS, THE PAYMENT TERMS OR ANY OF THEM. YOU ARE SOLELY RESPONSIBLE FOR DECIDING WHETHER USE OF THE THIRD PARTY PAYMENT SERVICES IS APPROPRIATE, SAFE AND SECURE. We do not guarantee the Website or Services will be bug or virus free nor do we guarantee any minimum uptime or service levels in relation to the Website or Services. From time to time the Website and Services may be updated in accordance with the relevant sections set out below. Depending on the update, you may not be able to use the Website or Services (or any part thereof). Please see the Intellectual Property Rights section below for further information on how you are permitted to make use of the Website, Content and Services. The Website and Services are provided subject to all of the terms set forth in this Agreement. TO THE FULLEST EXTENT PERMITTED BY LAW, WE EXCLUDE ALL CONDITIONS, WARRANTIES, REPRESENTATIONS OR OTHER TERMS WHICH MAY OTHERWISE APPLY TO THE WEBSITE AND/OR THE SERVICES WHETHER EXPRESS OR IMPLIED. free of defects or errors. The Website and Services contain Content uploaded or otherwise provided by or related to third parties. Such Content is not in any way endorsed by Creative Word and does not constitute the opinion or advice or services of Creative Word or of any individuals employed or otherwise associated with Creative Word. THE USE OF THE WEBSITE IS ENTIRELY AT YOUR OWN RISK AND IN NO EVENT SHALL CREATIVE WORD NOR ANY OF OUR AFFILIATES BE LIABLE (WHETHER UNDER THE LAW OF CONTRACTS, TORTS, BREACH OF STATUTORY DUTY OR OTHERWISE) FOR ANY DIRECT, INDIRECT, INCIDENTAL, CONSEQUENTIAL, SPECIAL, EXEMPLARY, PUNITIVE OR ANY OTHER MONETARY OR OTHER DAMAGES, FEES, FINES, PENALTIES OR LIABILITIES, NOR FOR ANY LOSS OR DISCLOSURE OF DATE OR LOSS OR DAMAGE TO REPUTATION OR GOODWILL (COLLECTIVELY DAMAGE) WHATSOEVER (EVEN IF SUCH DAMAGE IS FORSEEABLE) ARISING OUT OF OR RELATING TO THE USE OR INABILITY TO USE THIS WEBSITE AND/OR THE SERVICES OR ANY RELIANCE THEREON. YOUR SOLE AND EXCLUSIVE REMEDY FOR DISSATISFACTION WITH THE WEBSITE AND/OR THE SERVICES IS TO STOP USING THE WEBSITE AND SERVICES. WE WILL NOT BE LIABLE FOR ANY LOSS OR DAMAGE CAUSED BY ANY VIRUS, DISTRIBUTED DENIAL-OF-SERVICE ATTACK OR OTHER TECHNOLOGICALLY HARMFUL MATERIAL THAT MAY INFECT YOUR COMPUTER, EQUIPMENT, COMPUTER PROGRAMS, DATA OR OTHER PROPRIETARY MATERIAL DUE TO YOUR USE OF THE WEBSITE OR TO YOUR DOWNLOADING OF ANY CONTENT ON THE WEBSITE OR ON ANY OTHER WEBSITE LINKED TO THE WEBSITE (INCLUDING THE THIRD PARTY PAYMENT WEBSITE) OR BY REASON OF ANY DISCLOSURE OF SUCH MATERIAL OR DATA BY ANY THIRD PARTY (INCLUDING THE THIRD PARTY PAYMENT SERVICES PROVIDER). You agree to defend, indemnify and hold us, and our affiliates, officers, directors, employees, representatives, successors, assigns and agents, and their licensors, advertisers, suppliers, and operational service providers harmless from and against any and all claims, expenses, costs, actions, demands, liabilities, judgments, and settlements, including reasonable legal fees, resulting from or alleged to result from your use of this Website and/or the Services, and/or any violation of the terms of this Agreement, the Training Terms and/or the Payment Terms. 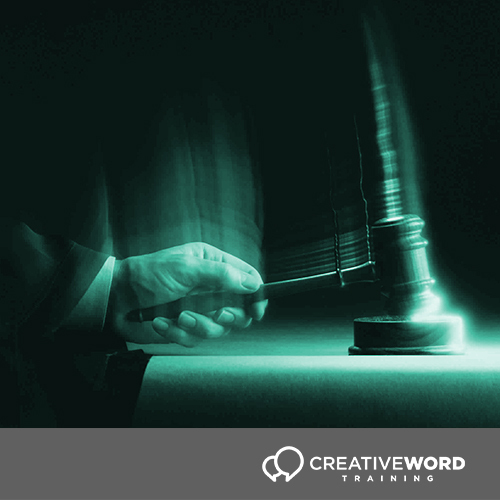 We reserve the right to assume the exclusive defence and control of any demand, claim or action arising hereunder or in connection with the Website and/or Services and all negotiations for settlement or compromise. You agree to fully cooperate with us in the defence of any such demand, claim, action, settlement or compromise negotiations, as requested by us. NEITHER CREATIVE WORD NOR ANY OF OUR AFFILIATES ASSUMES LIBAILITY OR RESPONSIBILITY FOR THE CONTENT OR SERVICES SUPPLIED BY YOU OR ANY THIRD PARTIES (INCLUDING THE THIRD PARTY PAYMENT SERVICES PROVIDER AND THIRD PARTY TRAINING PROVIDERS) NOR FOR THE CONTENT OF WEBSITES FOR WHICH WE PROVIDE LINKS. 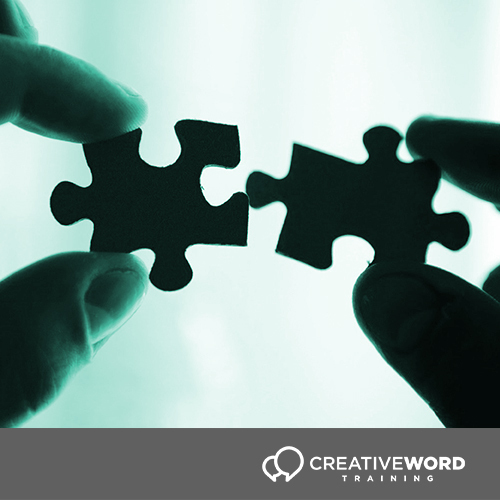 SUCH THIRD PARTY CONTENT AND LINKS SHOULD NOT BE INTERPRETED AS ANY ENDORSEMENT BY CREATIVE WORD OF THAT CONTENT, THOSE THIRD PARTIES OR THOSE LINKED WEBSITES OR THIRD PARTY SERVICES. THE WEBSITE AND SERVICES ARE PROVIDED ON AN “AS IS” AND “AS AVAILABLE” BASIS. 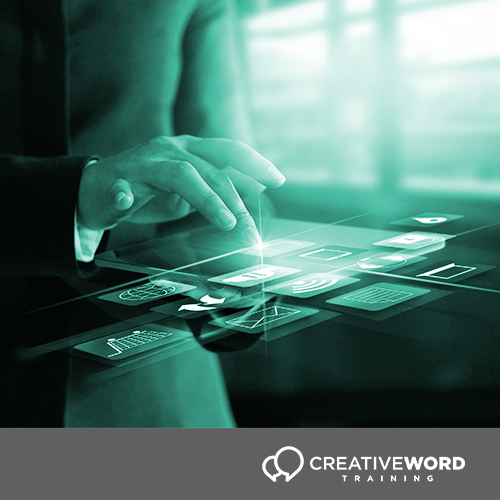 CREATIVE WORD DO NOT MAKE ANY WARRANTY, AND DISCLAIM ALL RESPONSIBILITY AND LIABILITY FOR THE AVAILABILITY, TIMELINESS, SECURITY, RELIABILITY, QUALITY OF THE WEBSITE, ANY RELATED SOFTWARE, OR OTHER PRODUCTS, SERVICES, INFORMATION OR CONTENT OBTAINED THROUGH THE WEBSITE AND/OR THE SERVICES. WE HAVE NO RESPONSIBILITY OR LIABILITY FOR THE DELETION OF, OR THE FAILURE TO STORE OR TO TRANSMIT, ANY CONTENT AND OTHER INFORMATION MAINTAINED OR TRANSMITTED BY THE WEBSITE AND/OR SERVICES. WE ARE NOT RESPONSIBLE FOR THE ACCURACY OR RELIABILITY OF ANY INFORMATION OR CONTENT TRANSMITTED THROUGH THE WEBSITE AND/OR SERVICES. WE MAY, AT ANY TIME, LIMIT YOUR USE OR DISCONTINUE THE WEBSITE AND/OR SERVICES (OR ANY ASPECT THEREOF) ENTIRELY AT OUR SOLE DISCRETION. Nothing in the Agreement excludes or limits our liability for death or personal injury as a result of our negligence or in any other way which is prohibited by applicable law. 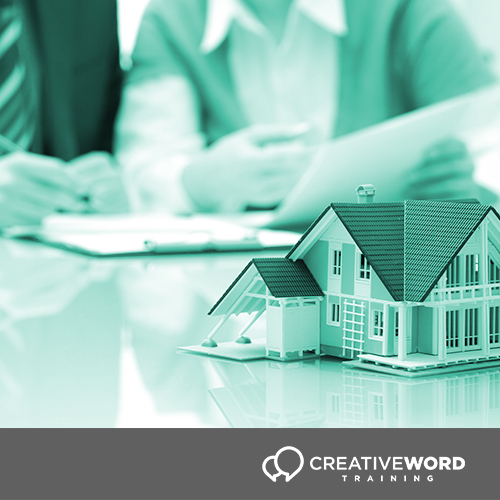 If you decide to enrol in a training course via the Website, you may be required to purchase a Course. If you decide to purchase a Course, you will be leaving this Website and will be directed to visit an internet payment gateway (the Payment Gateway) for the purposes of entering your payment information and completing the payment process. You acknowledge and agree that the Payment Gateway is owned and operated by a third party (the Third Party Payment Services Provider), and that you may be subject to additional terms and conditions by and between you and the Third Party Payment Services Provider for the purposes of completing the payment transaction (the Payment Terms). You hereby acknowledge and agree that any Payment Terms are strictly between you and the Third Party Payment Services Provider, and that neither Creative Word nor any affiliates shall in any way be responsible or liable for any breach of the Payment Gateway Terms by the Third Party Payment Services Provider. The Third Party Payment Services Provider accept payments online using Visa and MasterCard credit or debit card in AED (or any other agreed currency). The logo of the accepted cards are always present on their Home page and on their Payment check out page. 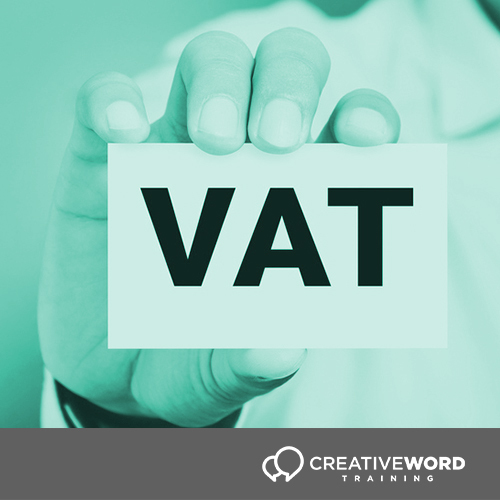 You acknowledge and agree that, in accordance with the Training Terms located on this page, there are no exchanges, refunds and/or returns accepted for the purchase of a Course. All sales are final. 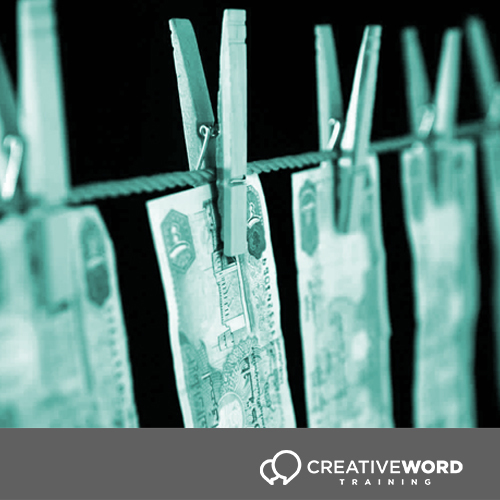 If you believe you have been charged in error, you must contact Creative Word at Level 41, Emirates Towers PO Box 31303, Dubai, UAE Tel: +971 4313 2832 no later than 48 hours and we will investigate accordingly. Any necessary refunds will be made only through the Original Mode of Payment. THE PAYMENT GATEWAY IS MANAGED AND OPERATED BY THE THIRD PARTY PAYMENT SERVICES PROVIDER AND NOT CREATIVE WORD. BY ACCESSING THE PAYMENT GATEWAY, YOU ARE LEAVING THIS WEBSITE AND YOU ACKNOWLEDGE AND AGREE THAT THE THIRD PARTY PAYMENT SERVICES PROVIDER IS SOLELY RESPONSIBLE FOR ANY OBLIGATIONS WITH RESPECT TO PROCESSING, PROTECTING, SECURING AND TRANSMITTING YOUR CARDHOLDER DATA AND/OR PAYMENT INFORMATION. THEREFORE, BY ACCESSING THE PAYMENT GATEWAY, YOU ACKNOWLEDGE AND AGREE THAT WE AND OUR AFFILIATES SHALL BE IN NO WAY RESPONSIBLE FOR ANY BREACH, DISCLOSURE AND/OR SECURITY INCIDENT INVOLVING YOUR CARDHOLDER AND/OR PAYMENT DATA, AND THAT YOUR USE OF THE PAYMENT GATEWAY DOES NOT CREATE ANY OBLIGATION, RESPONSIBILITY OR CONTRACTUAL RELATIONSHIP BETWEEN YOU AND CREATIVE WORD, THE LAD AND/OR ANY OF THEIR AFFILAITES IN RELATION TO PAYMENT OR ANY OF YOUR PAYMENT DETAILS. YOU AGREE THAT NEITHER WE NOR ANY OF OUR AFFILIATES SHALL BE RESPONSIBLE OR LIABLE FOR ANY BREACH OF SECURITY AND/OR DISCLOSURE INOVLVING YOUR CARDHOLDER AND/OR PAYMENT DATA OR FOR THE FAILURE BY THE THIRD PARTY PAYMENT SERVICES PROVIDER TO PROPERLY STORE OR SECURELY TRANSMIT ANY CARDHOLDER AND/OR PAYMENT DATA AND OTHER INFORMATION MAINTAINED OR TRANSMITTED BY THE PAYMENT GATEWAY. ANY CLAIM, COMPLAINT AND/OR LIABILITY WITH RESPECT TO A BREACH OF SECURITY AND/OR DISCLSOURE OF CARDHOLDER DATA SHALL BE SOLELY BETWEEN YOU AND THE THIRD PARTY PAYMENT SERVICES PROVIDER. WE ARE NOT RESPONSIBLE FOR THE SECURITY AND/OR PRIVACY OF CARDHOLDER OR PAYMENT DATA THAT MAY BE ENTERED INTO, STORED AND/OR COMMUNICATED BY THE PAYMENT GATEWAY. THE USE OF THE PAYMENT GATEWAY IS ENTIRELY AT YOUR OWN RISK AND IN NO EVENT SHALL WE, THE LAD, NOR ANY OF OUR AFFILIATES BE LIABLE (WHETHER UNDER THE LAW OF CONTRACTS, TORTS, BREACH OF STATUTORY DUTY OR OTHERWISE) FOR ANY DIRECT, INDIRECT, INCIDENTAL, CONSEQUENTIAL, SPECIAL, EXEMPLARY, PUNITIVE OR ANY OTHER MONETARY OR OTHER DAMAGES, FEES, FINES, PENALTIES OR LIABILITIES, NOR FOR ANY LOSS OR DISCLOSURE OF DATA OR LOSS OR DAMAGE TO REPUTATION OR GOODWILL (COLLECTIVELY DAMAGE) WHATSOEVER (EVEN IF SUCH DAMAGE IS FORSEEABLE) ARISING OUT OF OR RELATING TO THE USE OR OPERATION OF THE PAYMENT GATEWAY OR ANY RELIANCE THEREON. WE MAKE NO WARRANTY, AND DISCLAIM ALL RESPONSIBILITY AND LIABILITY FOR THE AVAILABILITY, TIMELINESS, SECURITY, RELIABILITY, QUALITY OF THE PAYMENT GATEWAY, ANY RELATED SOFTWARE, OR OTHER PRODUCTS, SERVICES, INFORMATION OR CONTENT OBTAINED THROUGH THE PAYMENT GATEWAY OR ANY OTHER SITE AFFILIATED TO THE PAYMENT GATEWAY. PLEASE NOTE THAT YOUR PERSONAL INFORMATION AND PAYMENT DATA MAY BE TRANSMITTED AND PROCESSED OUTSIDE OF THE UAE BY SUCH THIRD PARTY PAYMENT SERVICES PROVIDER. We own or are the licensee of all Intellectual Property Rights in the Website, Content and Services which are protected by UAE and international copyright, trademark and/or patent laws and treaties. All such rights are reserved. Intellectual Property Rights means intellectual property rights and includes computer and software code, scripts, design elements, graphics, logos, interactive features, artwork, text communication, and any other content that may be found on or in the Website created by us or on our behalf. All trademarks, service marks and trade names are owned, registered and/or licensed by us. You are not permitted to make any use of any of our trademarks, services marks or trade names. No part of the protected materials available on or in the Website (including third party Content) may be copied, reproduced, translated or reduced to any electronic medium without permission. If we discover that you have used any materials on the Website protected by Intellectual Property Rights belonging to us in contravention of the terms of the license below or otherwise in breach of our, we and any of our affiliates may bring legal proceedings against you, seeking monetary damages and an injunction, or any other equitable remedies, against you. You could also be ordered to pay legal fees and costs. 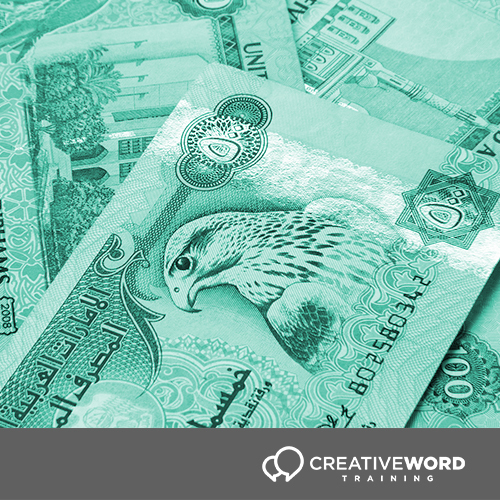 If you become aware of any use of materials in which we own or are the licensee of Intellectual Property Rights and that contravenes or may contravene the terms of this Agreement, you agree to immediately report this by email to payments@creativeword.ae. In consideration of you agreeing to abide by the terms of this Agreement, we grant to you a non-transferable, non-exclusive, royalty-free, revocable license in the UAE to: (i) use this Website and the Services as herein set forth; (ii) copy and store this Website and the Services in your web browser cache memory; and (iii) print pages from this Website and the Services for your own personal and non-commercial use. You must not modify the paper or digital copies of any materials you have printed off or downloaded in any way, and you must not use any illustrations, photographs, video or audio sequences or any graphics separately from any accompanying text. We do not grant to you any other rights whatsoever in relation to this Website or the Services. All other rights are expressly reserved by us. You acknowledge and agree that the rights in the Website and Services are licensed (not sold) to you, and that you have no rights in, or to, the Website or the Services other than the right to use each of them in accordance with the terms of this Agreement. You acknowledge that you have no right to have access to the Website in source-code form. You agree that we cannot licence you to make use of Content generated by third parties and to which we do not have any rights of ownership or sub-licensing rights. You are solely responsible for securing and backing up your communications and the content of your computer systems. You undertake not to gain or attempt to gain any access to any aspect of the Website, the Services or the Content which you are not authorised to so access under the terms of this Agreement. not to use any automated data collection methods, data mining, robots, or scraping or any data gathering methods of any kind in relation to, or in connection with, them. Certain sections of the Website require you to register. If registration is requested, you agree to provide us with accurate, complete and current registration information and you further agree to promptly update that information to keep it accurate, complete and current. Each registration is for a single person only unless specifically designated otherwise on the registration page. In relation to all types of registered user: we do not permit (a) any other person using the registered sections under your name; or (b) access through a single name being made available to multiple users on a network; or (c) access through a false, incorrect or borrowed identity or name. You are responsible for preventing such unauthorised use and for keeping your registration information confidential. We will not be responsible for any damage resulting from any unauthorised use or any other breach of security. You agree that we may suspend or terminate your access to the Website and Services, for any reason whatsoever, entirely at our own discretion, including if you provide any information that is inaccurate, incomplete or not current, or if we believe that such information is inaccurate, incomplete or not current, or you violate any of the terms of this Agreement. 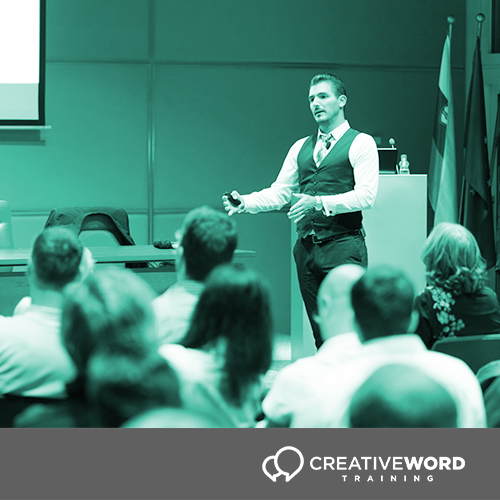 If you know or suspect that anyone other than you knows your registration and access information you must immediately notify us at Level 41, Emirates Towers PO Box 31303, Dubai, UAE Tel: +971 4313 2832 training@creativeword.ae and provide us with all assistance to cancel your registration and prevent any unauthorised access. We reserve the right to anonymously track and report, to our third party statistical service providers, your activity involving the Website and Services. By using the Website or any of the Services, you consent to us collecting and using technical information about the software, hardware and peripherals for Services that are internet-based or wireless to improve our products and to provide any Services to you. impersonate any person or entity, or falsely state or otherwise misrepresent yourself, your age, your professional qualifications, your education, your knowledge and experience or your affiliation with any person or entity. We reserve the right at all times to revoke or restrict your access to the Website and/or Services in our sole discretion for any other reason whatsoever. You may link to our home page, provided you do so in a way that is fair, lawful, and does not damage or take advantage of our reputation. We reserve the right to withdraw this permission at any time. You must not establish a link to our Website, Content or Services in such a way to suggest any form of association, approval or endorsement on our part. This Website and the Services include content and links to information and services submitted by or on behalf of third party providers. We do not endorse or guarantee the accuracy, reliability, security, safety or appropriateness of any services, opinion, statement, information or material created, displayed, available or distributed through this Website or the Services. You acknowledge that by using this Website and/or the Services you may be exposed to information or service that is inaccurate or unreliable, insecure or unsafe and in this respect your use of the Website and the Services and your reliance on the Content (including any such third party information or material) and services linked to this website (including the payment and training services) is entirely at your own risk. Creative Word will not have any responsibility for the conduct of any user of this Website or third party whose services are accessible via this Website and we assume no liability for any lack of security, disclosure of data, mistakes, misstatements of law, defamation, libel, omissions, opinions, representations or anything else contained in any Content or resulting from services appearing on or available via the Website and/or Services. We reserve the right but disclaim any obligation to monitor Content from users of this Website, or take any action to restrict any access to material displayed or distributed through this Website and/or the Services that violates this Agreement. You are solely responsible for your interactions with other users of this Website, and with third party’s offering or providing services (including the training service providers and third party payment service provider) which are accessible via this Website and/or the Services and with persons you meet through such users or providers. You understand and acknowledge that in the context of the Website and the Services we do not screen users or third party providers, inquire into their backgrounds or attempt to verify the information, services or any Content they provide. In all interactions with third party service providers or any other third party you make contact with or meet through this Website and/or the Services, you agree to take all precautions necessary to protect yourself, your property and your personal and financial information and position. Any persons or businesses participation in or inclusion on the Website and/or the Services should not be construed as any sort of endorsement of such third party or its services by Creative Word or any of their affiliates. Should you choose to register for any training or to make any payment or to otherwise disclose any of your personal details and/or credit card/bank details to any party (including the Third Party Payment Services Provider), or to enter into the Payment Terms or the Training Terms, you do so entirely at your own risk (and subject to those terms you have agreed with third parties) and we strongly encourage you to conduct your own due diligence and to make proper enquiries and obtain references and endorsements of such third parties from persons outside the Website. 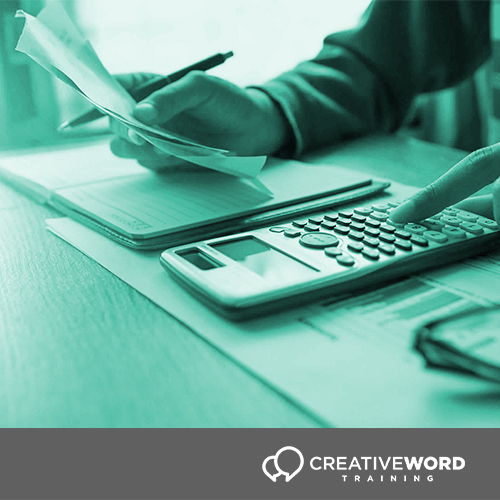 In the event you decide to enter into the Payment Terms or Training Terms and are in any way unhappy with the services you receive thereunder, you must complain to the party with which you contracted. 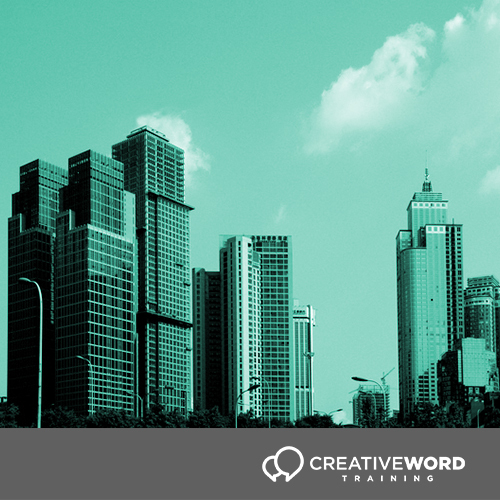 If you wish to complain about this Website or the Services, please contact us, Creative Word at training@creativeword.ae or Level 41, Emirates Towers PO Box 31303, Dubai, UAE Tel: +971 4 405 6935. We may, in our sole discretion, terminate or suspend your access to and use of the Website and/or Services without notice, and for any reason, including violation of this Agreement or other conduct which we, in our sole discretion, believe is unlawful or harmful to us or others. In the event of termination, you will no longer be authorised to access or use the Website or Services and we will use any means available or necessary to enforce this termination. We reserve the right, without any liability to you, to modify this Agreement without notice and at any time. Updated versions of this Agreement will appear on the Website and are effective immediately. You are responsible for regularly reviewing this Agreement and your continued use of the Website and/or Services following any modifications to this Agreement will be deemed as acceptance of any such modifications to this Agreement. 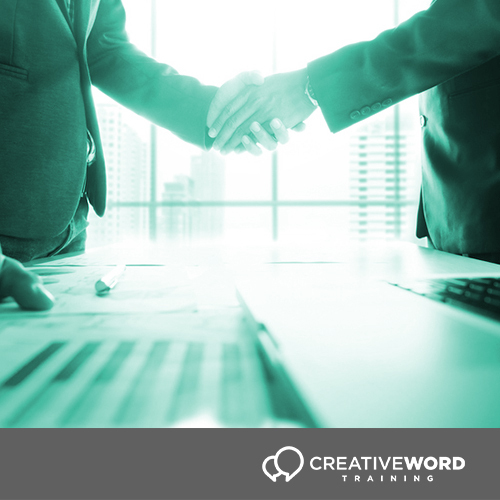 If you do not accept and abide by the terms of this Agreement or any modification to it, you may not use this Website or download or use any of the Services or related software or content. Your use of this Website and the Services is at your sole risk and liability. We may update or alter the Website from time to time and may change the Services (including all Content) at any time. The Services (and Content) on the Website may be out of date at any given time, and we are under no obligation to update them. We do not in any way guarantee that our Website, the Services or any Content will be up to date, free from errors, inaccuracies or omissions or be fit for any purpose. This Agreement and your use of the Website and Services is governed by and shall be construed in accordance with the laws of the Emirate of Dubai and, where applicable, the Federal Laws of the UAE. Such laws will govern these disclaimers, terms and conditions and this Agreement, without giving effect to any principles of conflicts of laws. We reserve the right to make changes to this Agreement, our Website and the Services at any time. If you wish to object to any Content or Services on the Website which are provided by us, please do so immediately upon becoming aware of objectionable Content/Services and in writing to Level 41, Emirates Towers PO Box 31303, Dubai, UAE. Please ensure you clearly identify the Content/Services objected to and detailing the basis for your objection and the action(s) you request we take in relation to such Content/Services, and provide your full contact details to enable us to discuss with you and act appropriately upon any such objection. We will in all reasonable cases attempt to investigate objections and, if appropriate, remove the relevant Content/Services. However, as noted above, we not in any way liable for any third party service providers. 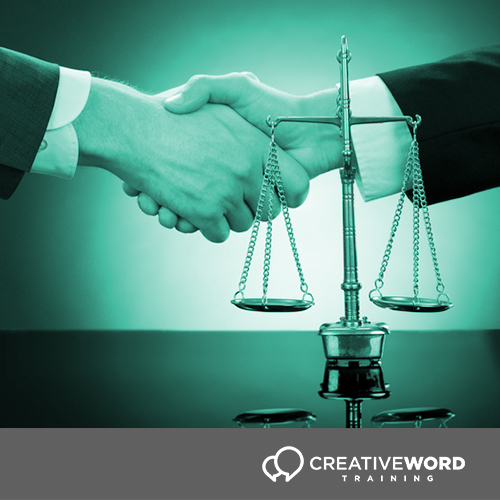 if there is any conflict or inconsistency between a term in these Terms and a term in any other documents referred to or otherwise incorporated into the Agreement, the term in these Terms shall prevail to the extent of the conflict or inconsistency. 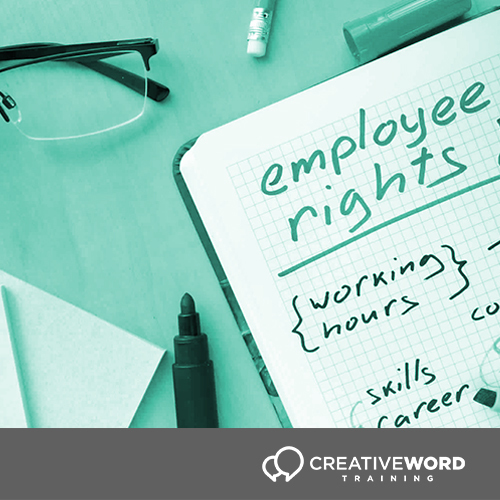 We reserve the right to revise and amend the Terms from time to time. 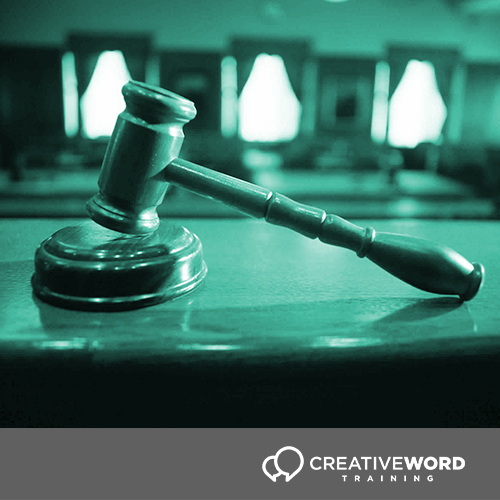 You will be subject to the Terms in force at the time of booking a Training Session, unless any change to the Terms is required by law or a government or regulatory authority in which case the same will apply to Training Sessions you have booked. Courses must be booked by you using the online system through the Website. Please see Clauses 4 and 5 for further information. You must treat any username and password as confidential and it is your responsibility to ensure they are kept secure. We reserve the right to vary the Fees without notice. This will not affect those of you who have already booked a Course at an agreed rate. All Training Sessions are subject to availability. We will need certain information from you for us to register and set up an Account for you. If you do not provide us with the requisite information, we will be unable to set up an Account for you and you will not be able to book or attend the Courses. If you provide incorrect or inaccurate information, we may not be able to register and set up an Account for you. After your Account has been set up, you are under an obligation to keep your personal and professional information registered to your Account complete, accurate and up to date. Any failure to do so by you may result in suspension and/or cancellation of your Account at our discretion. Welcome instructions shall include an outline of the Course, Venue details and map. If the welcome instructions have not been received by you three (3) days prior to the date of the Course, please call +971 4313 2832 issued under such circumstances. At times it may be necessary for us to change the Course content, Provider and/or Venue from those published. Whilst we will use our reasonable endeavours to provide notice of such changes at least five (5) days’ before the date of the Course, we will not be held liable for any costs/losses incurred as a result of any such changes. If you wish to cancel your booking of a particular Course you must log into your Account and click “Remove”. 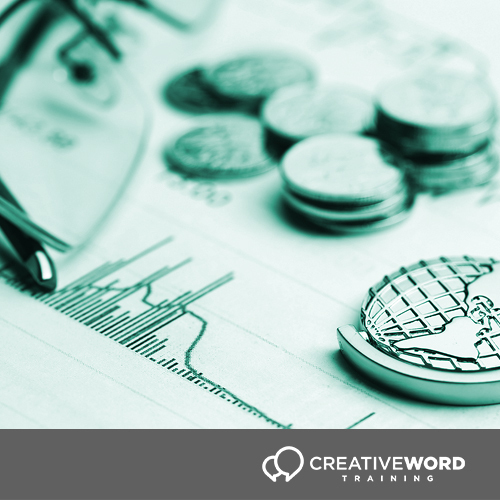 you may redeem that re-Credited sum in respect of the same or a different future Mandatory CLPD Course. In the event you fail to give prior notice required under Clause 8.1, your Credit in respect of that Mandatory CLPD Course will be forfeited and you shall have no entitlement to be re-Credited, or to a refund of, the value of the Credit. Refunds of the value of Credit purchased shall not be permitted in any circumstances. The Program Materials shall be distributed at the Training Session, unless specifically stated otherwise in the welcome instructions. You are expected to arrive at least ten (10) minutes before the scheduled start time of a Training Session. 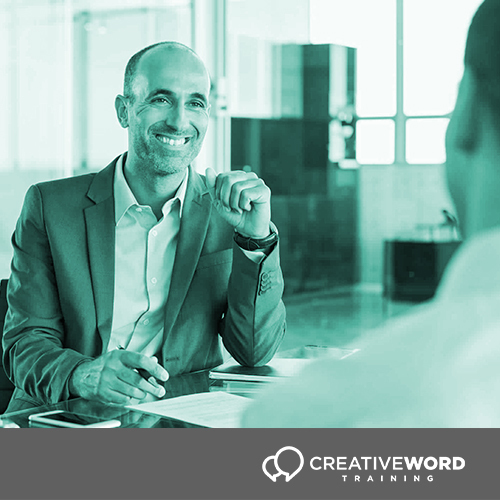 If you arrive after the scheduled start time and the Training Session has commenced, we and the relevant Provider have discretion to refuse you entry to the Training Session. In the event your entry is refused, you shall have no entitlement to a refund of any fees paid in respect of a Course. 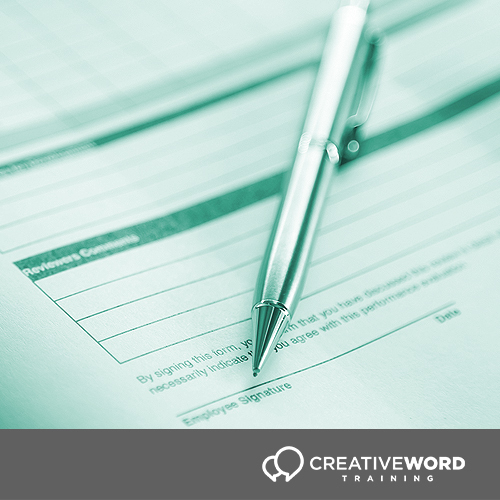 At the end of each Training Session you must complete the feedback form provided to you and submit it to the relevant Provider in order for your attendance at the Training Session to be accredited. 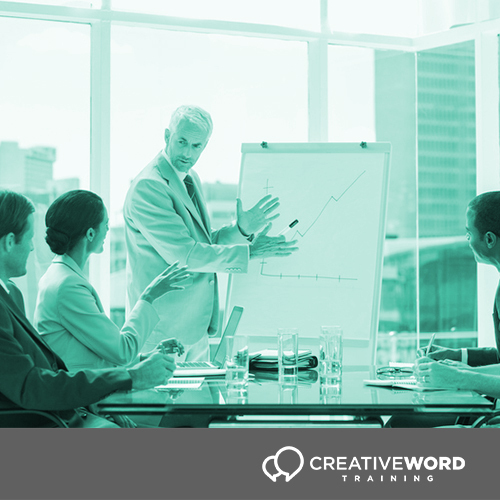 After completing a Training Session you will receive an email containing an attendance certificate for the Training Session completed by you. During the Training Sessions, you shall at all times observe and conform with all such guidelines, rules, regulations and directions as may be imposed on you by us and/or the Providers from time to time for the administration of the Venue. There is no dress code, however, most of you will choose to wear smart-casual clothing of business dress. National dress is welcome. You are expected to behave in a professional manner before and during the Training Sessions and when exiting the Venue. This shall include switching off (or turning to silent mode) all electronic devices during the Training Sessions. Electronic video and/or audio recording is not permitted during any Training Sessions. 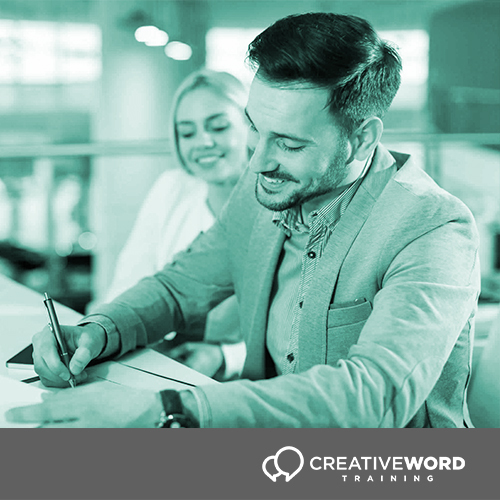 If it is deemed by the Providers that you are being disruptive to the Training Sessions or your behaviour is not conducive to the learning of the other attendees, we and the Providers reserve the right to remove you from the Training Session and the premises without any entitlement to a refund in respect of a Course. 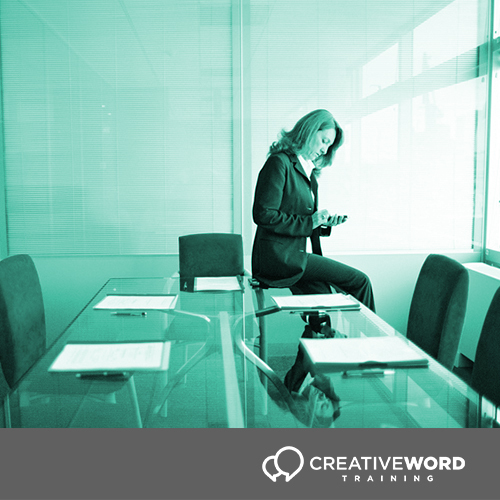 For the sake of clarity, if you are so removed from a Training Session, the Provider also has discretion to decide whether or not your attendance at the Training Session should be accredited. 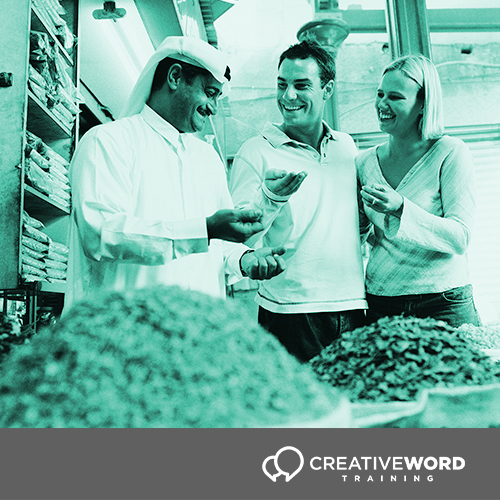 Courses shall be run in either Arabic or English language and in some cases both. You should select the Course in the language applicable to you at the time of booking. The content of, views and/or opinions expressed at, the Training Sessions and in the Materials are provided for your personal information only. 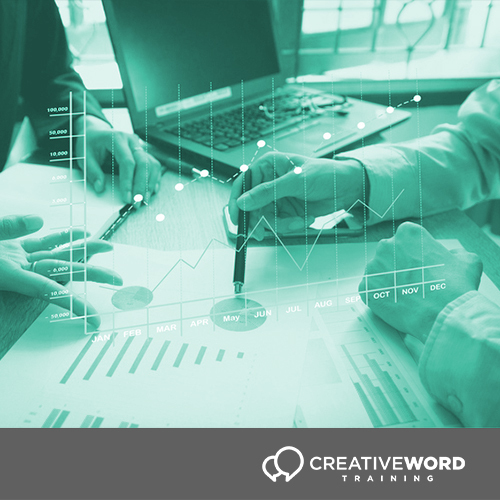 Neither the Training Sessions nor the Materials are intended to be completely comprehensive and seek only to provide a general overview of the subject matter for training purposes. The Training Sessions and the Materials are not provided for the purpose of providing legal advice on any matter whatsoever. To the extent permitted by law, neither we nor the Providers (who shall also be entitled to enforce the terms of this Clause 15), will be liable by reason of breach of contract, negligence or otherwise for any loss or consequential loss occasioned to any person acting or omitting to act in reliance upon the information, views or opinions provided at the Training Sessions or contained in the Materials, or arising from or connected with any error or omission in the Materials or presentation of the Training Sessions. Consequential loss shall be deemed to include, but is not limited to, any loss of profits or anticipated profits, damage to reputation or goodwill, loss of business or anticipated business, damages, costs, expenses incurred or payable to any third party or any other indirect or consequential losses. For the sake of clarity and subject to Clause 20, Providers are not a party to these Terms and, to the extent permitted by law, shall have no liability whatsoever in respect of any matters referred to herein. You acknowledge and agree that you do not rely on nor have you been given any warranty, representation or otherwise by us or the Providers (who shall also be entitled to enforce the terms of this Clause 16) as to the suitability, condition, safety or otherwise of the Venue or any equipment contained therein. 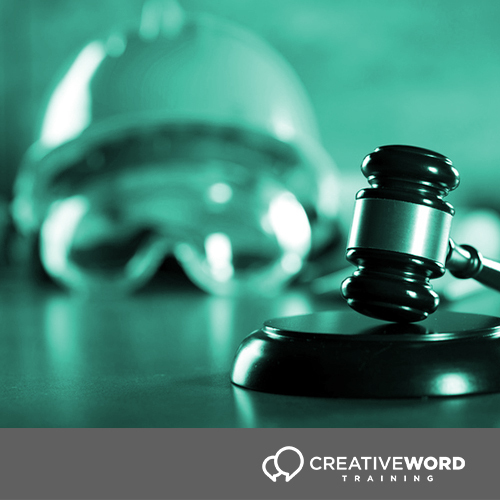 The Materials are protected by copyright laws and treaties around the world. All Intellectual Property Rights are reserved. The Materials may not be used, stored on any retrieval system, copied or republished in any format, whole or in part without our prior written consent. This includes copying, reproducing, transmitting, recording, uploading, posting, displaying, linking to or using in any way the Materials. Any such use is strictly prohibited and will constitute an infringement of the copyright and other Intellectual Property Rights of the owner of the relevant Materials. You accept and agree that nothing in these Terms shall serve to transfer or assign any Intellectual Property Rights in the Materials to you or any other third party. All Materials are made available purely for your personal use. They are not available for commercial use within Firms or other organisations. No liability shall attach to us or the Providers (who shall also be entitled to enforce the terms of this Clause 17) for loss or damage of any nature suffered as a result of the reproduction or other use of the contents of the Materials. Please note that this and any other pre-contractual documentation shall not constitute an offer. All services provided by us are on the basis of these Terms and if you wish to engage any of our services we shall only provide them if our Terms are accepted. If you wish to engage us on your own terms and conditions then we shall only accept the offer on our Terms, which shall, if we provide the services you offer to engage, prevail over any other terms and conditions. 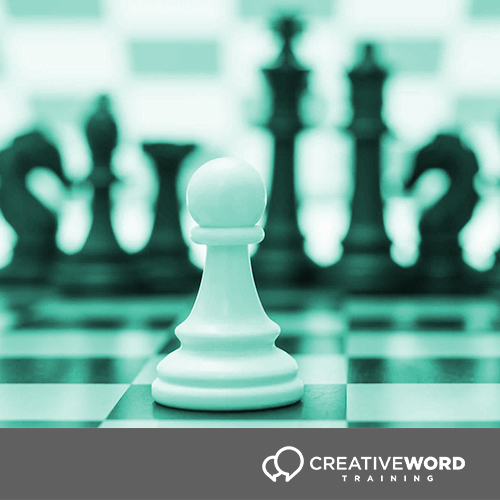 All notices given by you to us must be sent to info@creativewordtraining.ae. We may give notice to you at either the e-mail or postal address you provide to us when booking a Course. Notice will be deemed received and properly served immediately when posted on the Website or 24 hours after an e-mail is sent. Except as expressly stated herein, a person who is not a party to these Terms may not enforce any of its terms. These Terms are governed by and shall be construed in accordance with the laws of the Emirate of Dubai and, where applicable, the federal laws of the United Arab Emirates. Such laws will govern these Terms, without giving effect to any principles of conflicts of laws. You agree unconditionally and irrevocably that the Dubai Courts shall have exclusive jurisdiction to settle any disputes, which may arise out of or in connection with these Terms. If any provision of these Terms is, or is found to be, unenforceable under applicable law, that will not affect the enforceability of the other provisions of these Terms. 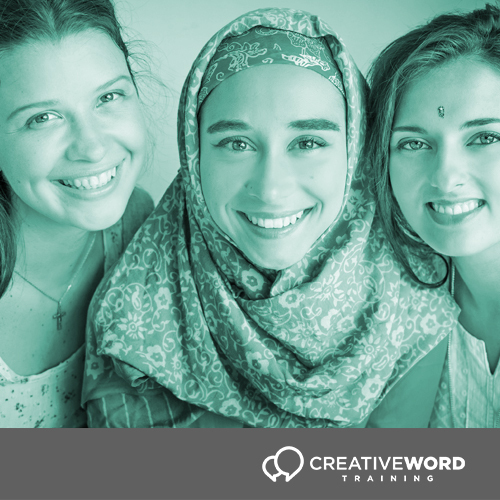 If you wish to contact us in relation to the Courses or have a complaint about any the services provided by us, please email us at info@creativewordtraining.ae. or call us on +971 4313 2831and speak to one of our bilingual members of staff. If you have a complaint, one of our manager will contact you within approximately 48 working days. The manager will investigate your complaint and aim to provide a satisfactory way forward within a further 5 working days, subject to the limits outlined in these Terms.